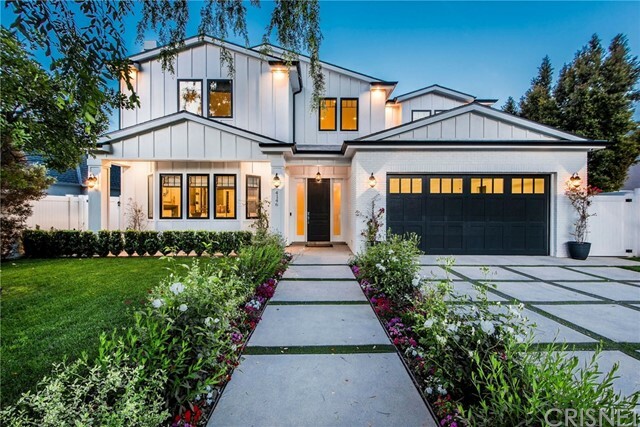 All Sherman Oaks homes currently listed for sale in Sherman Oaks as of 04/25/2019 are shown below. You can change the search criteria at any time by pressing the 'Change Search' button below. If you have any questions or you would like more information about any Sherman Oaks homes for sale or other Sherman Oaks real estate, please contact us and one of our knowledgeable Sherman Oaks REALTORS® would be pleased to assist you. "Elegant traditional in the foothills of the highly sought after Longridge Estates. Rarely does a property this special come to market with 2/3 acre flat lot & sprawling floor plan. Within close proximity to Ventura Blvd & set back off the street behind gates & privacy hedge sits this true Longridge Estate. Front & back yards, oversized pool/spa & endless room to entertain. Skylights flood the home w/ light & high ceilings create a beautiful sense of space. First floor master wing w/ dual baths, dual closets, sauna, courtyard & front facing gym/office. Natural light filled stairs leads to an upstairs living area w/ 3 en-suite bedrooms. Large formal dining & formal living w/ stone fireplace. Kitchen w/ center island, natural stone countertops & stainless steel appliances overlook the resort-like grounds. Offering complete privacy where you can escape the outside world in one of the Valley's best enclaves. What is already an incredible property has the potential to be a dream home estate." "Exquisite New Construction! Gated elegant traditional 5 Bedroom 5 Bath home on large grounds in prestigious Sherman Oaks S. of Ventura Blvd. with spectacular views! Striking finely crafted architectural highlights of this custom home include high ceilings, tasteful crown moldings, wainscoting, rich wood flooring & impeccable fixtures. Grand foyer opens to distinctive Living Room/Dining Room with recessed lighting. Stunning gourmet kitchen with gorgeous French Vanilla marble counter tops, superlative quality appliances, butler's pantry, farmhouse sink & large center island with breakfast bar that make this kitchen a chef's dream. Family Room with wet bar & handsome fireplace opens through custom folding glass doors to balcony with stunning valley & mountain views, ideal for relaxing. Sumptuous Master suite with his 'n hers walk-in closets & custom folding glass doors leading out to large private covered balcony with beautiful views. Luxurious Master Bathroom with his 'n hers sinks, imposing vanities with tasteful marble counter tops, dressing table, soothing soaking tub, & inviting steam shower. All bedrooms feature en suite bathrooms. Amenities also include a splendid media room, office/gym room and sauna. Among other compelling features are security system with 5 cameras with monitor, intercom, central vacuum, & high quality light fixtures. Lush rear garden with inviting saltwater pool with swimming jets, spa, patio & grassy play area. Note: Property is virtually staged." "A newer Modern Estate located in the heart of Sherman Oaks and close to all the best restaurants, shops, and The Buckley School. Over 5,500 square feet of living space which includes a detached pool house that includes a bedroom, kitchenette, and bath. Two story entrance leads you into this open floor plan which includes wood floors, high ceilings, bi fold doors and windows, mud room, den which c/b 5th bedroom with bath, formal dining, kitchen with stainless steel appliances, large center island, and breakfast nook. The family room offers a fireplace and opens to the covered patio and large yard. The basement offers concrete floors and wall for that industrial feel and also offers 1 bedroom with full bath and a secondary family room which is currently used as a gym and lounge. The second floor offers a large master suite with balcony, walk in closet, and spa like bathroom. Also located on the second floor are two bedroom en suites, an office, and sitting room with work stations. The backyard has a large pool and spa along with a a structure that is plumbed and ready for kitchen or bbq area plus pool house. house." "Spectacular gated, Mediterranean, newer custom-built estate with designer features in a secure and very private setting. This stunning home has a kitchen with plenty of cabinet space, as well as large wine storage and display just off the dining area. The enormous family room off the kitchen has a built in wet bar with beautiful tiles and a fireplace. A custom home theater for entertaining friends and family, and formal living and dining areas are a added bonus. There is a maid's room and a guest bedroom suite both with their own bathrooms located on the first floor. The upstairs consists of four bedrooms, including a separate entry large apartment that is complete with it's own kitchen and bathroom, perfect for the nanny or visiting family. In addition, there is an office, additional sitting area and a game room as well. Fabulous master suite with huge bathroom, spacious walk-in closet and magnificent shower. The home is designed with a flair for entertaining and flow!" "Situated on over 50,000 sf of land is a completely private sanctuary offering breathtaking views of the San Fernando Valley. This contemporary, newly remodeled dwelling features a spacious living room that blends into the dining room, an open kitchen and sitting area all with beautiful views of sunsets. A stunning, large outdoor entertaining area treats you with a heated pool, BBQ, and outdoor shower while stairs guide you to a unique, massive area of manicured grass, outlined with twinkle lights that magically displays incredible, uninterrupted mountain and city views. 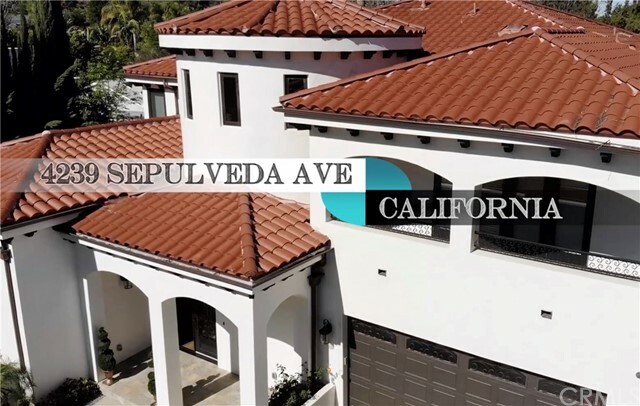 Located in prime Sherman Oaks, there is also access to Mulholland Drive down a 1/4 mile private gated road giving you the best of both sides of the hill." "Stunning extensively remodeled private view estate! Luxurious indoor living opens out to beautiful melding of the peacefulness of nature. A showplace with comfortable living; an emotional purchase of a beautiful work of art; close to the big city yet a feeling of private isolation above the fray. Behind gates, up a long private driveway is revealed this remodeled contemporary masterpiece on almost three acres of verdant rolling land with peaceful views of canyon, valley and oak groves. Gracious gourmet kitchen overlooks a grass yard and views. Custom walnut cabinetry, stainless-steel Viking Professional appliances, huge pantry, butlers pantry and a formal dining room. The high ceiling in the large living room accentuates the view through walls of glass as well as a massive fireplace. Spacious master bedroom and a very large custom closet with built-in drawers and hanging bars. Leading into the luxurious master bath with spa tub, large vanity and oversized shower. Add to that the separate Accessory Dwelling Unit with full kitchen and closet overlooking the canyon views. A large open space with home theatre / screening room. A sixteen-foot wall of disappearing glass doors. Motor court for multiple cars. Large grassy yard serves as an observation deck as well as numerous sitting areas to observe the world below and the deer and wildlife at your doorstep. This home offers the ultimate in a spectacular estate and privacy. This is a very rare and unique property." "Exquisite Architectural Gem in Prime Sherman Oaks! This luxurious newer construction smart home reflects modern California indoor-outdoor living. It features open spacious single level floor plan with 4 bedrooms & 4.5 bathrooms,high ceilings,abundance of natural light,recessed lighting through-out,skylights,high-end finishes,designer porcelain tile through-out,large living room w/contemporary fireplace & large Fleetwood doors that open to large deck & spacious private back yard w/pool,spa,waterfall & fire pit. Amazing chef's kitchen w/center island,stainless steel appliances,large walk in pantry & wine cellar. Elegant master bedroom w/enormous walk-in closet & contemporary fireplace. Master bathroom w/large double rain shower,double vanities & heated floors. Separate 1 bedroom/1 bathroom guest house with full kitchen. Lutron home automation system,built-in speakers & security cameras through-out. Located just steps away from fine shopping,dining & entertainment on Ventura Blvd." "Spectacular panoramic city lights and mountain views from this striking & completely remodeled Contemporary home. Quintessential indoor outdoor lifestyle featuring Fleetwood doors opening out to the pool & parklike vistas from the dining room, family room and master bedroom. Fabulous chef's kitchen with center island and a large walk-in pantry opens to family room and bar area with beautiful stacked stone fireplace. 4 spacious en suite bedrooms including a wonderful Master Suite that is like a private oasis with floor to ceiling glass doors leading to a large sparkling swimmers pool and 180 degree valley views. The luxurious Master bath boasts a rainfall shower and floating tub. This amazing property is situated in a family-friendly neighborhood with a beautiful front garden and walking distance to biking and hiking trails. Easy to show." "Superb Private Tuscan Estate located in one of the top South of the Boulevard Sherman Oaks neighborhoods. This 5-bed, 5-bth home w/ gorgeous architectural features, an entertainers dream, w/ large formal dining area opening up to a quaint & cozy living space complete w/ fireplace. An expansive open gourmet kitchen offers 48 Viking double oven and stove, wine fridge, and stainless-steel commercial refrigerator, as well as opening up to a unique living room space with fireplace, which opens onto a large outdoor BBQ area with plenty of open space for entertaining large parties. There is an outdoor living room w/ dual bamboo fans, airy drapes and fireplace along with outdoor kitchen offering an eat at island/bar, BBQ and refrigerator. The master suite is a large yet cozy space offering an area to lounge near the large outdoor balcony overlooking the sparkling pool, a huge master bath and enormous walk-in closet. The additional 3 bedrooms upstairs are all en-suite." 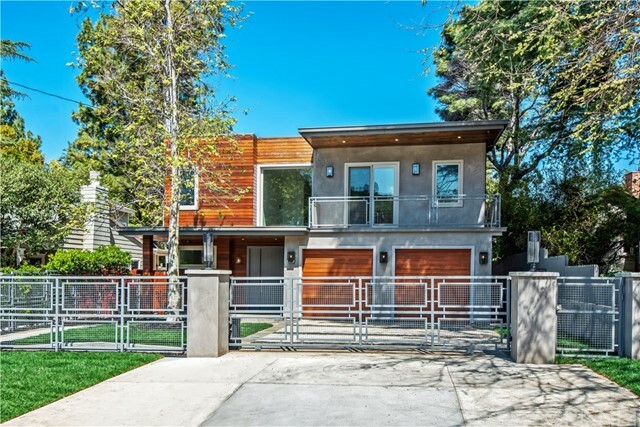 "Just like new dream modern cape code in the heart of Sherman Oaks! This South of the Boulevard home features designer light fixtures, beautiful hardwood flooring, and gleaming natural light from large windows, showing off the home s stunning aesthetic. Just over 5,000 sq ft., this home exudes impeccable interior design surrounded by lushly landscaped exteriors. Luxurious chef s kitchen with a massive island and top of the line appliances bring the home together, alongside every room offering its own features. Coffered ceilings and cozy fireplaces make the home a tranquil environment, and many amenities throughout that fit into anyone s busy, or leisurely lifestyle. Separate Media room and/or viewing theater, 5 spacious bedrooms, and 6 bathrooms. Master Suite delivers walk in closets, high ceilings, detailed flooring & counter-tops alongside double sinks in the Master bath. An abundance of closet space, drawers & shelving throughout the home. Family room with bi-fold doors that lead you out to an entertainer s yard with Sparkling Pool & Spa, Patio, and private BBQ area. Close to abundant fine dining, entertainment and top rated schools. This home checks off all the marks, leaving no room for disappointment." 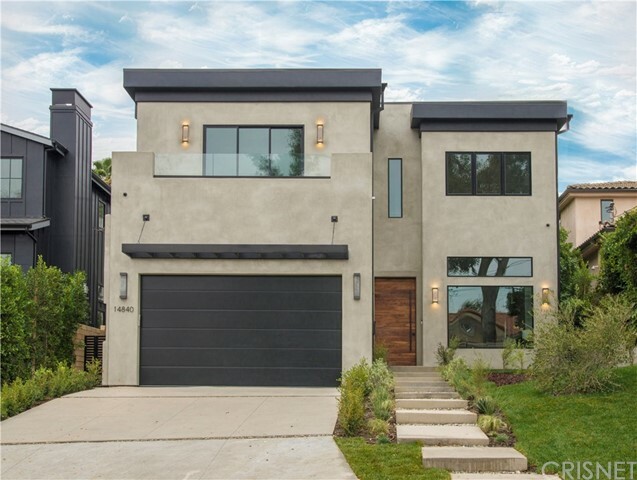 "Modern, chic, edgy, south of the boulevard new construction home that hits all the marks. Located in this desired Sherman Oaks neighborhood & close to fine dining, shopping & entertainment. Enter thru the custom wood front door that leads you into amazing spaces & an open flowing floor plan. Polished cement floors flow throughout the lower level with a great use of wood & stone surfaces that bring warmth & depth to the interior & these details extend to the exterior spaces as well. This home features a great room with high ceilings, fireplace & a wall of glass accordion doors that disappear blending the interior & exterior living spaces perfectly. The kitchen has a large island with gorgeous wood & stone countertops, all Miele appliances & plenty of storage in the custom cabinetry & all are open to the dining area. There are 4 en-suite bedrooms including a main floor glassed in room perfect for an office space or guest suite. Upstairs there is a family room with wood floors & a balcony with accordion glass doors & neighborhood views. The amazing master suite has a private balcony overlooking the backyard, a huge walk-in closet & a stunning bathroom with a large soaking tub, huge stall shower built for 2 with seating & multiple shower heads & double sinks on the wood counters. There s a 1000+/- square foot rooftop deck with views and BBQ hook-ups. The backyard has wood decking, grassy areas, a gray bottom pool & spa plus an outdoor lounging area/cabana"
"IN THE HEART OF SHERMAN OAKS, COMPLETE REBUILD(99%NEW), NEW MODERN VILLA HOME SITUATED ON A MAGNIFICENT SOUTH OF THE BLVD LOCATION WITH QUICK EASY ACCESS TO BOTH 405 AND 101 FREEWAYS. ONE OF A KIND, EXQUISITE HOME. OVER 4500 SQ. FT OF LIVING SPACE ON A 13943 SQ.FT LOT. HIGH CEILINGS, LIGHT AND BRIGHT WITH BALCONIES: 5 BEDROOM, 5 BATH, GRAND LIVING ROOM,FORMAL DINING, CHEF'S GOURMET KITCHEN, BUTLER'S PANTRY, ENTERTAINER'S YARD WITH POOL AND SPA. MASTER SUITE , LARGE MASTER BATH, WALK-IN CLOSETS; ENGINEERED OAK FLOORS, FIREPLACE. PARADISE, LOCATED JUST SOUTH OF VENTURA;STEPS FROM WHOLE FOODS MARKET/DINING AND ENTERAINMENT." "Beautiful custom home located in the highly sought after Lanai School District. Privacy Gated and Enclosed Front Yard including Video Entry with Concrete and Turf surrounding the home for easy maintenance. The Double Door Entry opens up to the Wrought Iron Curved Staircase setting the statement for this Luxury Home. It's a perfect entertainment floor-plan with high ceilings and large open rooms. Living room offers 14 foot coffered ceilings & pictured window that illuminates the room, wet bar w/ wine refrigerator & built in cabinets. Gourmet kitchen features, Italian marble counter-tops, 2 sinks, breakfast nook & breakfast bar seating, Viking stainless steel appliances with Viking professional eight burner range, double oven, refrigerator and microwave. Large family room with bi-fold doors that transition to back yard featuring fireplace, surround sound with built in cabinets & bookshelves. The first floor also includes a downstairs Master with en suite bathroom and walk in closet. Second floor offers a loft, Master Suite with walk in closet, fireplace, balcony, steam shower, soaking tub & vanity. Three additional bedroom en suites, one with a covered balcony. The Outdoor Entertainment Area includes a Cabana with a full bath, BBQ Island with Lynx bbq & counter seating, salt water pool & spa with smart remote access, multiple areas for outdoor dining and entertaining. This house has everything you imagined for your LA lifestyle." "Magnitude and grace in concert with style, light, and energy. This custom home on over an acre is one of the most private properties in the city, and is located on one of the best streets. Oak tree groves, a stream, a quiet cul de sac. The home is reminiscent of the Getty museum and tastefully veiled by trees. The entry bathed in natural light, soaring ceilings and unparalleled volume realized in the public rooms. The kitchen is a symphony, the space literally sings. The home is 8 bedrooms on title, but 3 rooms better used as gym, library, and media room The master suite floats, the junior master levitates; both have direct access to the industrial sized, resort caliber pool. Indoor outdoor flow, sprawling grounds, and flat, grassy pads provide space allowing over 200 people to casually mingle, or 2 people to throw a Frisbee. 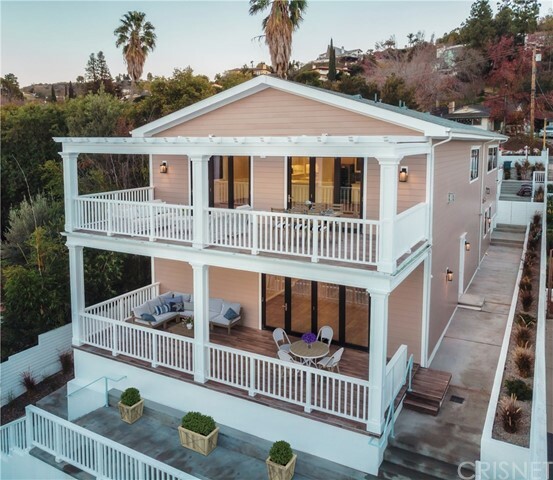 Truly one of a kind; an impossible to duplicate acquisition"
"Stunning new modern home, in prime Sherman Oaks south of Ventura Blvd., situated up on a knoll, elevated from the street. Featuring 5BR 5.5BA main home in over 4,300 sq. ft., with almost 250 sq. ft. cabana with fireplace and three-quarter bath on an almost 9,000 sq. ft. lot with some views. Bright living room with fireplace leads to dining area with adjacent wine display, as well as office with designer woodwork. Custom gourmet kitchen with Quartz countertops features modern appliances and cabinets, island with sink and bar seating, and butler s pantry to dining area. Family room with pocket glass doors leads to patio and lush backyard featuring BBQ, cabana/pool house, patio lounge area, and pool/spa with waterfall. Open master suite features two-way fireplace leading to spacious master bath, large walk-in closet, and sliding doors to balcony. Home is completed by entertainer and designer details such as 12 ft. high ceilings in some areas, custom woodwork and built-ins, large front balcony, surround sound speakers, Control 4 smart system, and security system with alarm and cameras." "East Coast comes West! Located in prime Sherman Oaks, this exquisite Hamptons-style farm house sets the standard of what a new home should be. Be treated to a grand scale foyer with 30-foot ceilings, custom paneling & designer lighting. The main floor offers expansive living & dining rooms, a butler's pantry & spacious chef's style kitchen. Exit the 16-foot pocket Fleetwood doors to the backyard featuring a cabana with fireplace, pool, spa & outdoor BBQ. Upstairs the Master suite boasts its own balcony, custom walk-in closet, steam shower and soaking tub. Three additional spacious rooms complete the top floor. Venture downstairs to the complete basement, finished with a variety of amenities ranging from a guest suite with en suite bath, stylish office, walk in wine cellar and wet bar, 11 seat state-of-the-art movie theater, and laundry room. In addition to the control 4 system, the house features designer finishes including Schumacher wallpaper in the powder room." "Striking estate in the hills of Sherman Oaks with both canyon and city views.4-story home thoughtfully split into separate living & entertaining/workspace floors. Enter through a large foyer with soaring ceilings to the main floor which is comprised of an eat-in kitchen w/ center island, elegant formal dining area w/ windows, formal living room with a private balcony, & a powder room. Upstairs you will find three ensuite bedrooms, including the master w/ two large walk-in closets w/ built-ins, a fire place, and a luxurious master bathroom w/ separate his-and-her vanities and jetted tub.Take the unique elevator down to the first of two entertaining floors which includes an ensuite guest bedroom, family room, wet bar, triple aspect office with backyard views, and another half-bath. The bottom floor is complete a media room, yoga/fitness space, the last en-suite bedroom w/ outdoor access, and a second full with private outdoor access, & second full kitchen w/ washer/dryer.Pool & spa"
"Entertainer's Delight in Sherman Oaks South of the Blvd exceptional open floor-plan Modern on a highly sought after magnolia lined walking street. This 5 bedroom 4 bath home is 4000 sq.ft. features pool, spa , bbq and separate studio.Enter the impressive front door a 15 ft entry leads to the living room w/ fireplace encased in limestone, maple wood floors. The family room has a pitched ceiling and open wall of glass faces the lush side garden. The incredible cook's kitchen with floor to ceiling double cabinets with pull outs drawers ,dacor, sub zero appliances a walk in pantry and a quartz counter island. The great room dining area with a fireplace french doors that lead out to a covered patio.A modern curved staircase to the 2nd floor The Master suite features a sitting room, fireplace his and her closets and master bath is the ultimate his and hers with dual counters, spa tub and bidet. Surrounded by mature lush private garden. This home is the ultimate of location and luxury." 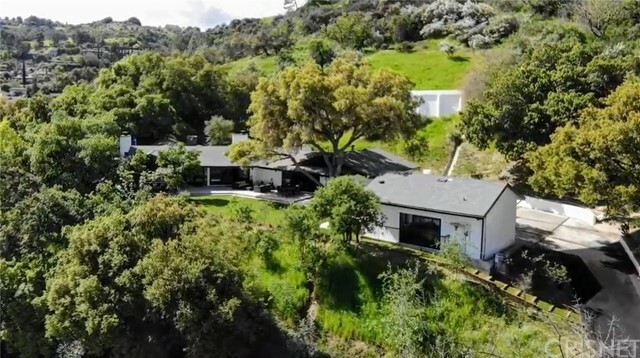 "This mid-century traditional home located in Sherman Oaks with nearly 3/4th of an acre of flat and buildable land is the ideal opportunity for any variation of buyer. For end users, either add on to the existing square footage and expansive lot size or simply modernize the current structure with appliances, lighting, smart home technology, and much more to make this property feel like home. For developers, this street to street lot has the capability to be subdivided into multiple spec houses to sell for a healthy profit margin. Combined with other amenities such as pool, 2/1 bed/bath guest house, outdoor brick fireplace, 6+ car parking (not including street parking), and close proximity to top-class schools, restaurants, freeways, and the infamous Ventura Blvd, this property is an absolute gem. Take advantage of this epic opportunity while it lasts!" "Sherman Oaks Hills- Premier European Style Estate featuring sublime City light and treetop views is nothing short of a Masterpiece nestled in a verdant, private setting behind gates. This stunning Estate has superb volume. Sophisticated materials are used throughout, panels of glass breathtakingly merge the interior with the exterior. The resort like backyard features a pool, jacuzzi and grassy, flat yard all with mesmerizing city light views makes this a One-of-a-Kind home. The Pool Pavilion flows from the house into a continuous entertaining space-- a virtual indoor/outdoor experience. An ultimate California lifestyle can be enjoyed here, surrounded by cutting-edge design and rare luxuries. 4,500 sq.ft. of living space with epic scale, incredible volume all on a serene 21K lot. There are 5 bedrooms (4 up & guest/maid down). The exquisite Master Retreat is on the scale of a 5 star resort with views galore. Large 3-car garage. A quiet Oasis seemingly far away yet close to all." "Walled and gated Tuscan estate on a quiet tree lined street south of Ventura Blvd. 5 bedrooms plus library or home office. Large open rooms, hardwood floors and high ceilings throughout. Gourmet center island kitchen includes a Wolf 6 burner range w/dbl. ovens, Sub-Zero refrigerator, walk-in pantry and breakfast area. Great family room opens out to the private yard and patio with fireplace, bar and pool/ spa with waterfall. Large living and formal dining rooms and wet bar are great for entertaining. Luxurious and spacious master bedroom suite includes a sitting area, fireplace, large terrace and spa like bathroom with soaking tub, glass shower and dual vanities. Immaculate condition and many special features /upgrades. Don't miss a great property in a prime neighborhood close to schools, shopping and restaurants." 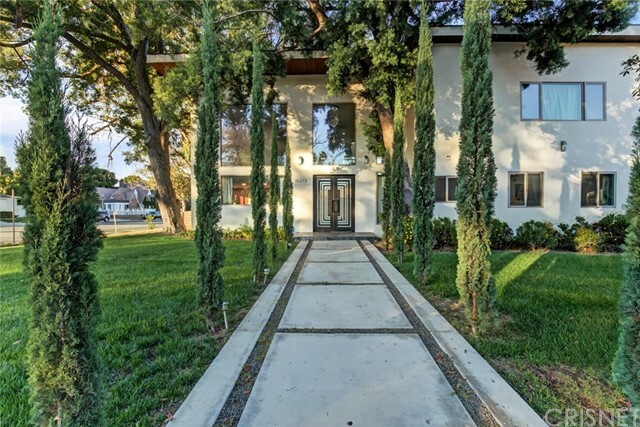 "This 4 bedroom, 4.5 bath Contemporary mid-century modern home is masterfully designed and extensively renovated, capturing the essence of classic architecture. Open floor plan with white oak floors throughout offer a bright and airy feel with walls of glass and soaring volumes showcasing the expansive Valley views. A gourmet chef's kitchen features stainless steel Wolf appliances, custom cabinetry, a walk-in pantry, and large center island with breakfast bar. Luxurious master bedroom suite features a private fireplace, generous sized walk in closet and elegant bathroom with a soaking tub and greenery out every window. This home includes 3 additional en-suite guest bedrooms, a large laundry room with built-in cabinetry and a private office/bonus space. The seamless indoor outdoor flow leads you to a lush backyard with pool, spa, and seating area with fire-pit to enjoy the panoramic canyon and City lights. This property offers an elevated lifestyle with easy Westside access." "Custom-built plantation style home in the heart of Sherman Oaks. With 4,600sqft of livable space, this 6 bedroom, 5.5 bathroom house was designed for someone that needs comfortable indoor living space in addition to sophisticated entertaining areas. Beautiful finishes include French white oak floors, custom cabinetry, a chef's kitchen featuring a large walnut butcher-block island, Sub-Zero appliances, Wolf range double ovens and a built-in dining nook. The spacious living room has doors that completely open to the beautifully landscaped backyard with pool, spa, and patio area for outdoor lounging or dining. The luxurious master suite includes an additional office/living room space, fireplace, private balcony, two generous walk-in-closets and a stunning spa-like bathroom. This smart home runs on a Control4 and Alexa integrated system." "The allure of LONGRIDGE rings like a clarion call for those attuned to the epic lifestyle that living on this coveted street brings. Just past the prestigious estate section on the Valley's best address, sited atop a private knoll, up a long driveway, is the ultimate private hide-away. The serenity of seeing deer and wildlife roam in the dedicated mountains behind you is a priceless attribute, as a respite from the hustle and bustle of Ventura Blvd just a few minutes below. Genius is in the the details- bejeweled door knobs, interior French doors, charming Dutch door, large picture wood windows, trendy lighting fixtures, and even the warm vintage Edison bulbs that illuminate each room. When you walk in the door, you will immediately feel -- you are HOME."